Jim’s first furlough day was yesterday and we were running errands and planning to have lunch after we finished. My cell phone rang around noon and I answered it to hear my girlfriend crying so hard I couldn’t understand what she was saying. I asked her to calm down and try to talk and she said “A pack of dogs have gotten into our chicken yard and killed all my chickens.” I calmly told her to wait for me, and Jim took me home. I got into some into work clothes and put on old shoes. He put a cardboard box in my trunk to bring home Rosie, Daisy & Violet. Debbie lives about 45 minutes from me and I drove to her house trying to imagine what I would find there and what I would say to comfort her. As I stepped out of the car I saw her standing with her head hanging and could tell she was still crying. I saw a couple of chickens walking around some farm equipment so I was glad to see that the dogs had not gotten them all. I walked up to her and hugged her and she told me to be brave. There were feathers everywhere. 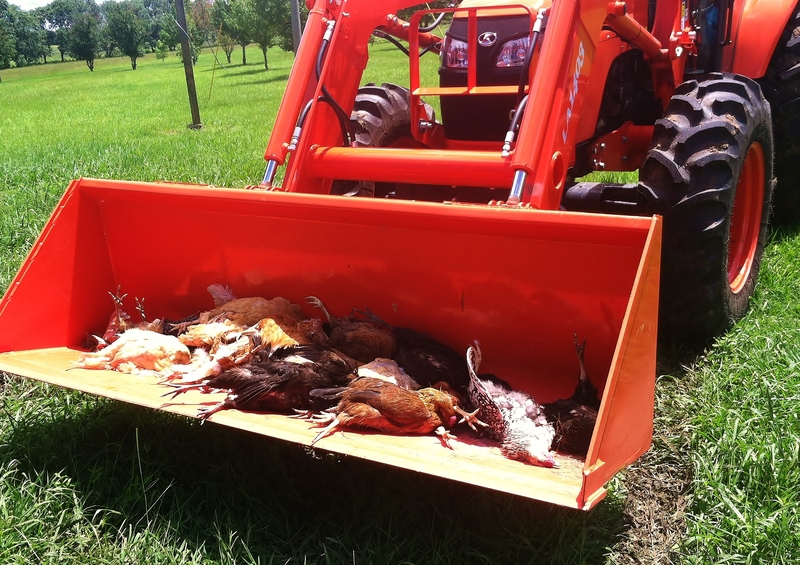 A small pile of colorful bodies were loaded into her husband’s tractor for disposal. I was bracing myself before I asked about my girls but I saw that Debbie had separated them from the group and put them together in a box in the shade. Before I looked in, Debbie explained that at first she had three chickens in the box. She was sure they were all my girls. Later, she looked again and decided that the yellow chicken was not actually Daisy. She put the yellow bird with the others and assumed that dear Daisy was taken by the dogs or that her body was still somewhere on the premises. She said that only about 10 chickens had been found alive and almost all of them had injuries ranging from minor to deadly. We walked around her farm together finding more bodies and more injured birds. I need to explain something before I go on. Debbie & Walter had gone to much expense and trouble to provide a lovely, humane and safe home for their chickens. 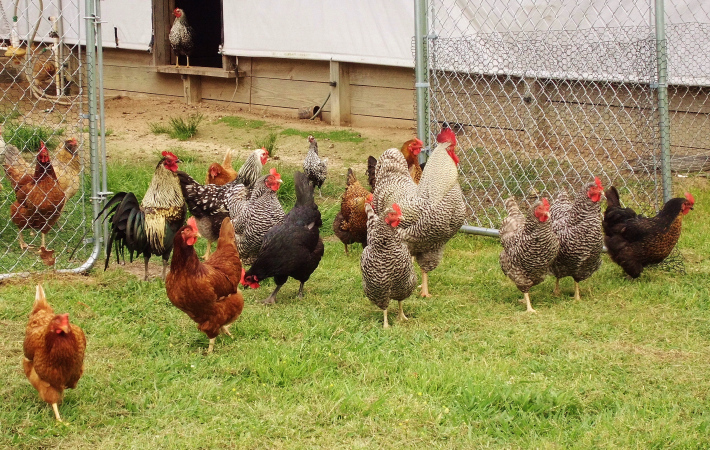 The whole chicken yard covers at least an acre and it is full of healthy grass, bugs, and a state-of-the-art watering system. It’s also equipped with hawk netting to keep even the most determined predators out. A chain link fence surrounds the area and there are two huge houses enclosed for her chickens to lay eggs and take dustbaths in the shade. She has provided this wonderful home for her birds for many years and no animal has ever been able to penetrate the yard. 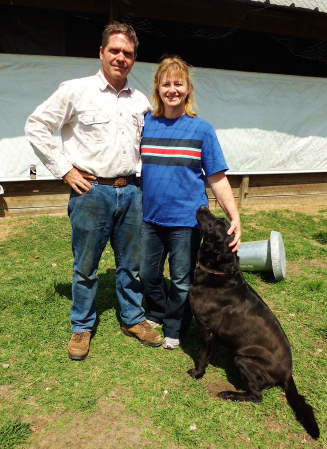 She and Walter figured out that the pack of four or five dogs, jumped against the gate so many times and threw their collective weight against it until the latch twisted and allowed just enough space between the gate and the fence for the dogs to get through. 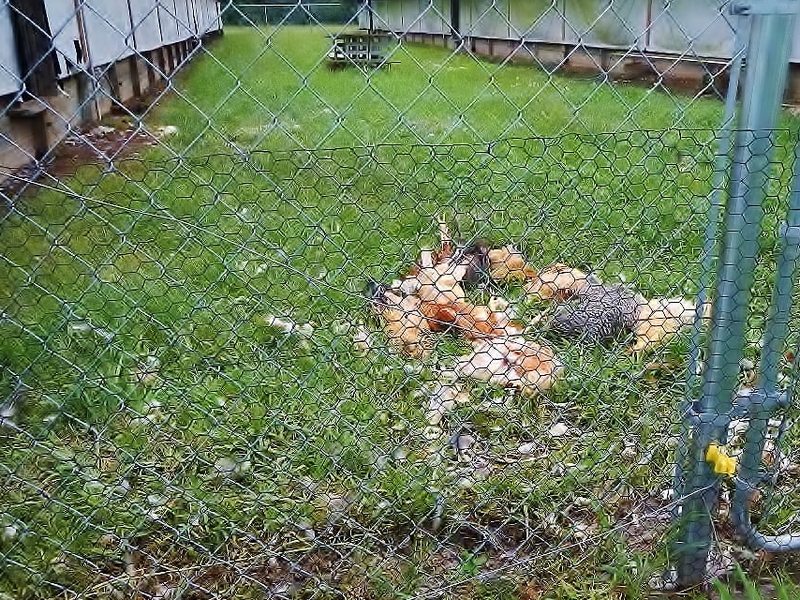 The dogs killed with abandon and did not actually eat any of the chickens they killed. These were animals who had stalked their property before and were likely the same dogs that killed Carlos. Walter was able to kill one, but the others escaped. They know who the dogs belong to. They are the worst kind of animal abusers you can imagine. The family lets them run wild, does not spay or neuter them or provide them with proper food. Debbie called them ignorant and unkind. I call them evil. I want to hate the dogs, but they were just acting on instinct. After we had searched the property for all the chickens we could find. I finally looked in the box at Rosie & Violet. They were indeed my former pets and it broke my heart to see their lifeless forms. Violet’s injuries were severe but she was in one piece. Rosie didn’t have a mark on her but she must have had internal injuries. Their feathers were vivid and shiny and I pet them gently before putting them in my car. 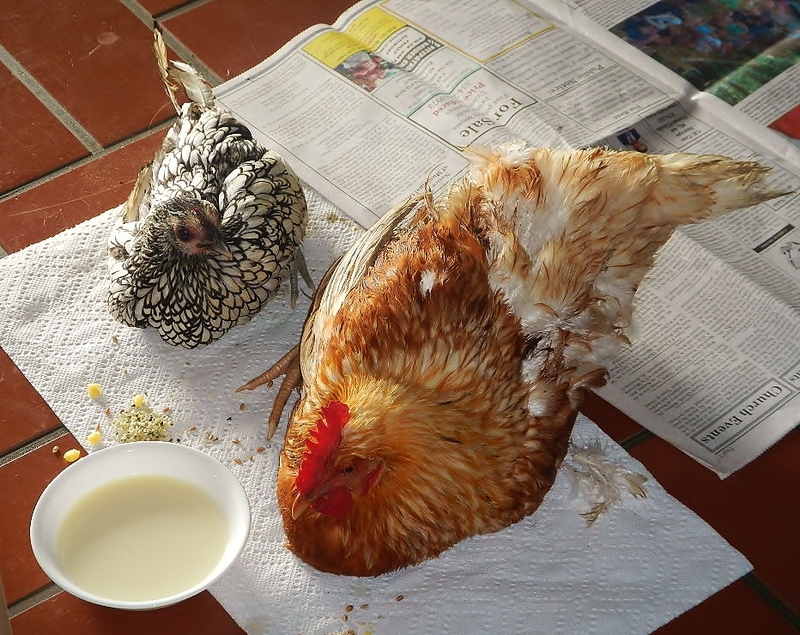 After our search, Debbie had a box of four chickens who needed to be euthanized. We went to her vet and they were waiting for us. The most injured bird had to be held for the procedure and I did it because Debbie was beside herself with grief. After the vet put down two of the birds, he gave antibiotics to two others and gave them back to Debbie to take home. He felt like they had a good chance of making it, so now they are in her house recovering. When we returned to Debbie’s house she put the injured chickens in the house and we made one more search of the chicken yard. Sadly we found another dead bird and a horribly injured bird that Walter mercifully dispatched. Debbie led me into one of the hen houses to make one more sweep of the area and both could not believe our eyes when we walked into the dark building. There in the gloom was a frightened yellow bird with a funny walk and a lazy eye. Despite her fear, she let me pick her up and put her in Debbie’s arms. We checked her body all over and saw no punctures or broken bones. She has lost some wing feathers and some pin feathers around her neck, but otherwise was in good shape. This small consolation made us both whoop with joy and for a short moment our spirits were lifted. 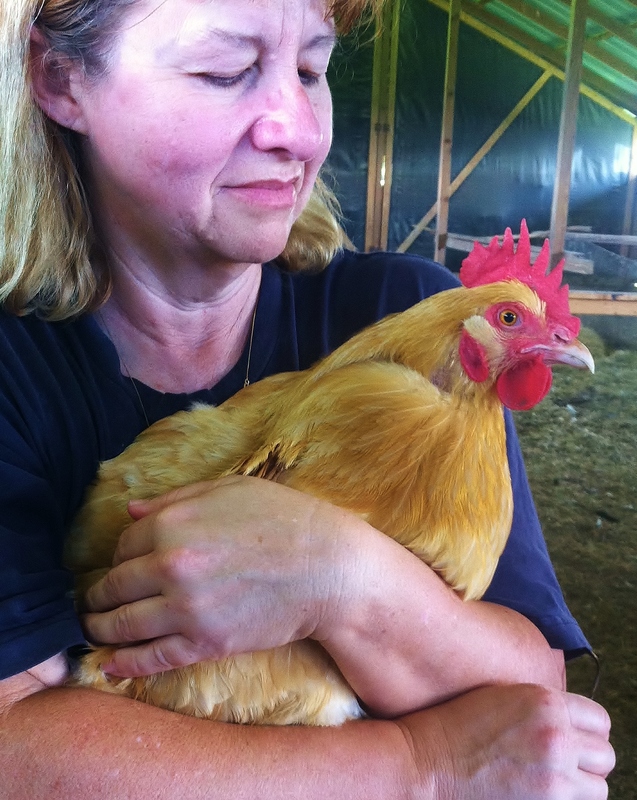 In all Debbie and Walter lost over 20 chickens and were left with about 20 injured and traumatized birds. They have put a heavy chain around the gate and have gotten all the living birds back in the yard to try to return to a normal chicken life. On my way home from Debbie’s I called Jim to prepare a small grave for my two old friends. 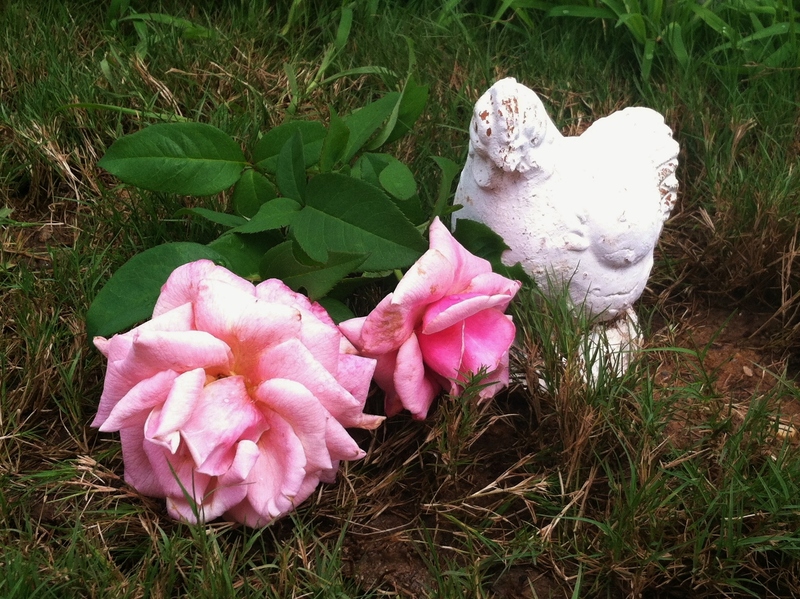 We had a few words and placed a little memorial for them in our ever-growing pet cemetery. I did not have any “Violets”, but I did have two “Rosies” from my garden. I can’t tell you how much it meant for you to be here and share the burden with me. You are truly my friend, and I love you dearly. I was looking at old pictures of the girls just now and they only make me cry even more. My heart has not recovered from the loss of Carlos and I’m missing Scarlet terribly, and now I don’t know if I can go on without that sweet Violet running up to greet me daily, and little Rosie, how she would dash in for a treat and dash out again – that funny little bird. I grieve for the loss of friends that my other girls had and I grieve for the ones still in pain from the attack. I’m constantly faced with the trauma as I tend to the two in my house. I can’t tell you how much I enjoyed raising chickens the RIGHT way, just seeing them enjoy life, made me enjoy it all the more. That’s how it suppose to be, and the evil in this world seeks to undo all the right we strive so hard for. Only time will heal this my friend. You were, and are a true friend to animals and I’m honored to have you in my life. Thanks for reading. Hope all your loved ones, animal and human are safe. I am so heartbroken…Daisy must have an angel chicken working overtime. Now she has two more. I am so sorry for yours and Debbies loss. I know it gave her comfort for you to be there to help her. I am so glad I got to meet all of the girls. love you. I’m glad you got to meet everyone too. That was a special day and I treasure the pictures. Love you much cousin/friend. I didn’t think I’d cry but I couldn’t stop myself. I’m so sorry for your loss and especially for the horrible senseless circumstances. Thank you Linda. I did not know you still read my blog but I’m so happy that you do. Sorry to make you cry. 😦 I cried while I wrote it. What a sad story – it’s hard to comprehend the ignorance and insensitivity of the dogs’ owners. Poor little helpless chickens…I am so sorry for you and your friend, and for loss of those innocents. So glad Daisy made it and hope she will continue to be well. Thanks Marcie. This means a lot. I am so sorry to hear about the loss. I had a similar story happen with my dog of 18 years. My heart is with you and Mrs. Debbie. Kristen, thanks for your kind words. Animals are worth all the pain because they give us so much joy. 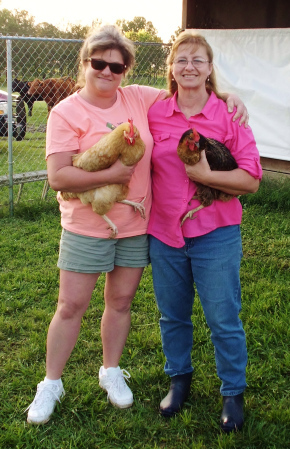 My family and I have been recipients of eggs from Debbie’s beautiful chickens. We also had the opportunity to visit them and my kids fed them an apple for a treat. 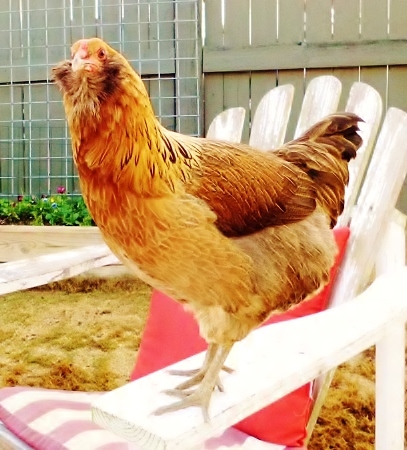 My heart aches for Debbie and for her sweet chickens. I am very thankful for them and thankful to you for being a source of strength that Debbie could lean on. Thank you for your kind words. I treasure Debbie’s friendship as I’m sure you do too. She is a wonderful person and a kind and compassionate steward of animals. All your fine feathered friends enjoyed a beautiful life in your care, and I am so sorry that this tragedy has happened to them and to you. Norma, thank you for your kind words. They are very comforting. So heartbreaking Debbie. I had hoped you might have had some good news today. More needless suffering. So, so very sorry for you and your babies. I will see if I can arrange for 2 trees to be planted in the forrest in their loving memory! I am EXTREMEMY distressed about this massacre — it especially hard because you had made your lovely chicks and their new family very real to me. I can only imagine y’all’s grief . Additionally , I am mortified that a breed of animal that I connect to is responsible . I am do sorry for your pain ! Thanks for sharing this most difficult post! 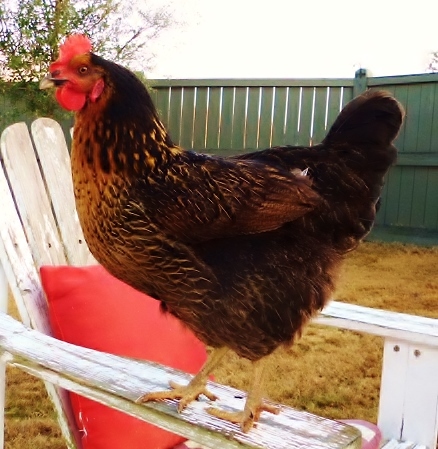 The tree planting will be a fitting tribute to two very sweet chickens. Thank you. This is so kind of you. I did not think my heart could break any harder after you had to give your girls to Debbie, but at least I knew they were safe. Crying with you and for you. So sorry. Love you much Renee. I know you were one of the biggest chicken champions of them all. Wish you could have met them. You still have a chance to see Miss Daisy. Get up here for a visit and we’ll road trip. Hugs.